The first was a success, and now the second test was also a go, at the European Spaceport in French Guiana, where the P120C was successfully tested on the BEAP test bench for solid rocket motors operated by the French space agency CNES. This second successful test of the P120C is a major step in the development of the future European launchers, Ariane 6 and Vega-C – the launch campaign for the first Vega-C flight will begin before the end of this year, and the maiden flight of Ariane 6 is scheduled for 2020. The P120C is a completely new solid rocket motor, and all its development stages have been achieved faultlessly. The first test firing was successfully carried out on July 16, 2018 on the same BEAP test bench at the European Spaceport. With major investments required for producing solid-propellant boosters, the P120C is the result of cooperation, since it will equip both Ariane 6 (in both its two-booster Ariane 62 and its four-booster Ariane 64 versions) and the first stage of Vega-C. 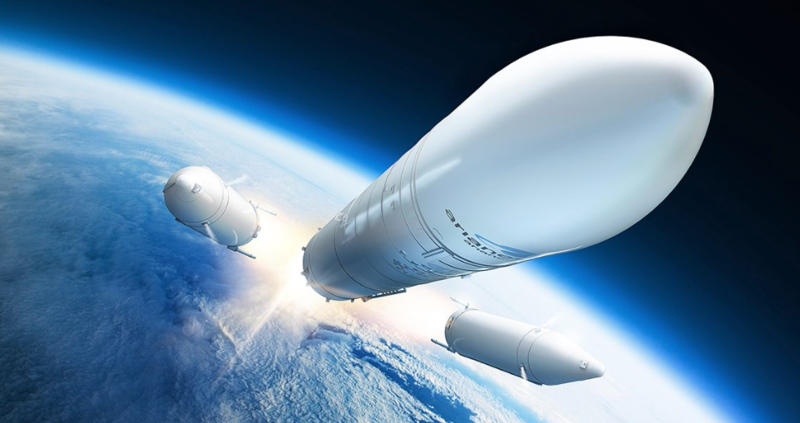 This allows making optimal use of industrial infrastructures on the European continent and in French Guiana, thus meeting the goals of the Ariane 6 and Vega-C programs: optimized costs, shorter cycles owing to a simplified design, and the application of innovative technologies and processes. The P120C consists of two principal parts. The first is the structural casing, built by Avio and made of carbon fiber (filament-wound, automated fabric layup pre-impregnated epoxy sheets). The second part is the nozzle, built by ArianeGroup and made of various composite materials, including carbon/carbon; it allows very high speed ejection of the extremely hot gases (3,000 degrees C) generated by the motor, thus creating thrust by transforming the combustion gas energy into kinetic energy. The latter can also pivot, which enables the launcher to be piloted. Propellant casting and motor final integration are both performed in French Guiana.